Family Volley: IT'S HERE! MY NEW BOOK!!! IT'S HERE! MY NEW BOOK!!! Many of you have commented that you would like to see an activity/games book from Family Volley. Named after the popular Friday posts that get families playing together. The book is filled with your favorite games from the blog, and also new games and activities never before posted. It is filled with a year's worth of Family Activities. Every activity has been illustrated IN COLOR, which makes the book even more fun. You will LOVE THE ILLUSTRATIONS!!! Wouldn't this make the perfect Christmas gift under your family's tree? Now you can have lots of unique games and activities to play with all the family and friends you will be spending the holiday season with. No more wondering, "What should we do?" Are you still looking for gifts and stocking stuffers for family and friends? 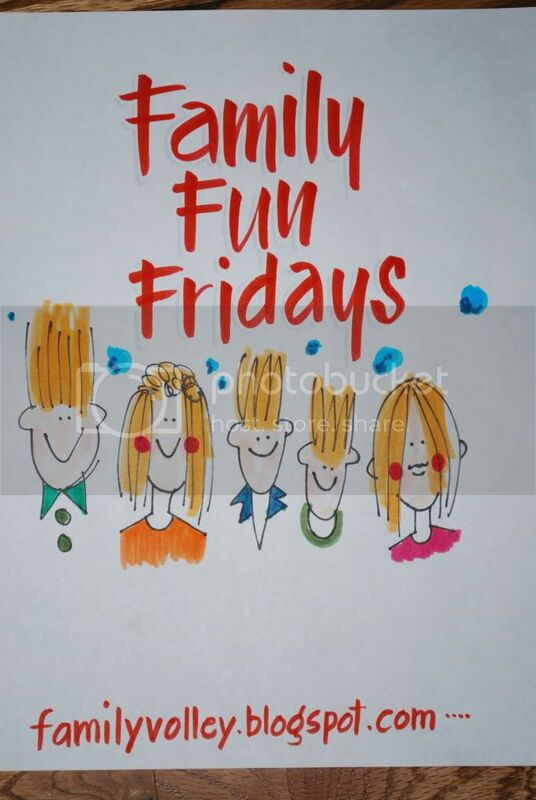 Why not give them something that will bring their family closer and provide hours of family togetherness and fun. Need a neighbor gift, or housewarming gift for friends? Each game is complete with modifications. Whether you have kids or not. It doesn't matter if your family is big, or small, or even if you are looking for an activity to play with a youth group. Modifications are even included for young children and toddlers. Great for everyone from Grandmas to Toddlers, and everyone in between. Simply click on the "Add to Cart" button at the top of the side bar. It is that easy. You can order as many copies as you would like, and they will be sent to your door step in plenty of time for Christmas gift giving. Books will ship immediately. As a "thank you for reading", and "Merry Christmas", books are listed at a special Christmas price. There is even a section of activities and games for Christmas and Easter. I wish you tons of success with this! Thanks. It was really fun to put together. Good for you! Merry Christmas! Great post! Thanks a lot for sharing! Every season I'm searching for new and fun activities for the kids! With summer approaching, every parent knows how active kids get in the summer with the beautiful weather and no school. From taking off the outdoor grill cover to get the BBQs started, to day camps and even simple home activities, there is a ton of stuff for kids to do! Hey friends have you been searching for a tutorial to change your windows 10 ? If yes then you are at a right place , here i can help you become a smart users of windows 10 mobile phone . I have got the tutorial for changing the ringtone of your phone so you can check this site without wasting your time . We are doing that since we have issues with spammers as well as robots which was the only reason our free robux generator was typically down over as well as over, as well as to repair that we make this confirmation check so just the individuals that are human could utilize our roblox robux generator.